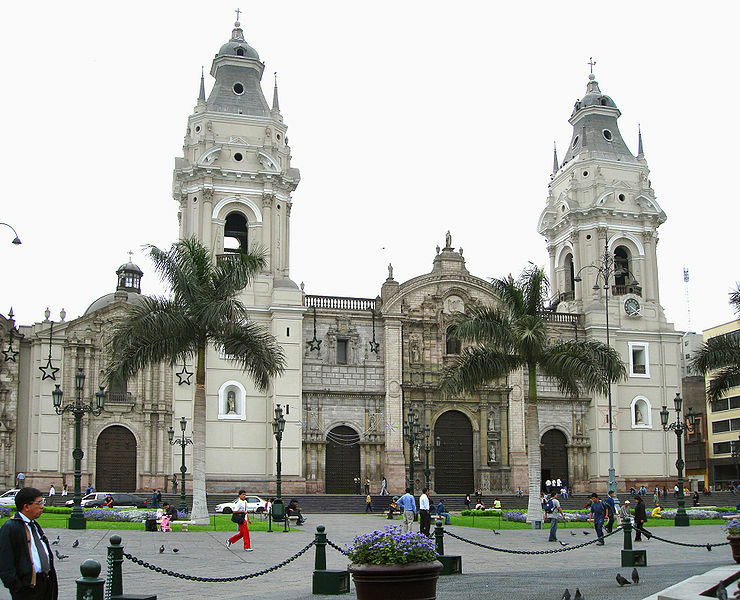 The Basilica Cathedral of Lima is a Roman Catholic cathedral located in the Plaza Mayor of downtown Lima, Peru. Construction began in 1535, and the building has undergone many reconstructions and transformation since, however it still retains its colonial structure and facade. It is dedicated to St John, Apostle and Evangelist. Our travel agency offers you the quality and expectations that you are looking for the best marvelous places in Lima Tours. The Cathedral of Santo Domingo, also known as Cusco Cathedral, is the mother church of the Roman Catholic Archdiocese of Cusco. 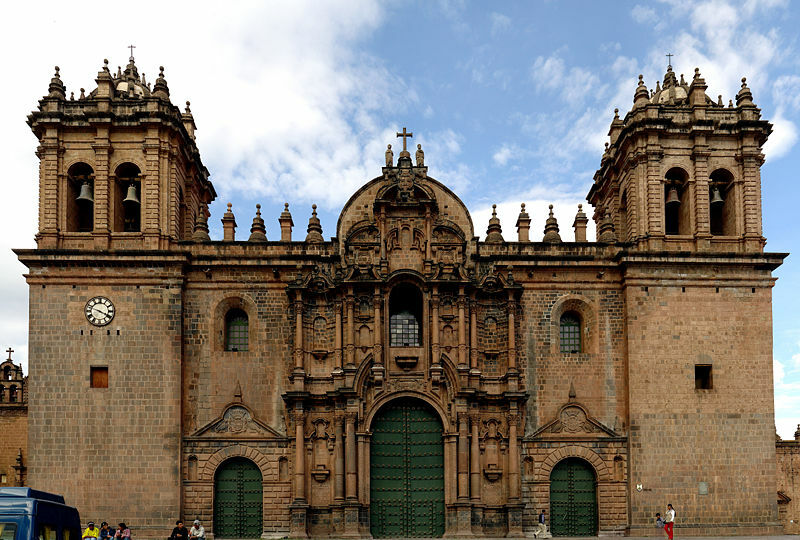 The cathedral is located on the main square of Cusco, Peru, called the Plaza de Armas. Building was completed in 1654, almost a hundred years after construction began. It was built on the foundations and incorporated the remains of Corichancha, an Incan temple torn down by Spanish colonists. Enjoy the best tourist sites and places to tour cusco. The Basilica Cathedral of Arequipa ("Basílica Catedral", in Spanish) is located in the "Plaza de Armas" of the city of Arequipa, province of Arequipa, Peru. 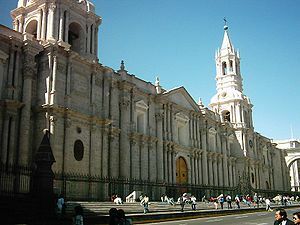 It is the most important Catholic church of the city and also of the larger Roman Catholic Archdiocese of Arequipa since it is the base of the Archbishop and the Metropolitan Council. The cathedral is also considered one of Peru's most unusual and famous colonial cathedrals since the Spanish conquest. · Live the passion of the best cathedrals Getting Around religion in Peru travel packages.